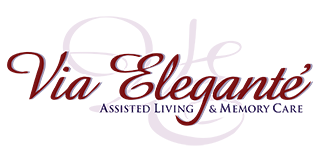 When you visit Via Elegante, you’ll be impressed by our caring, professional staff who are always focused on the well-being of our residents. You’ll see them, together with residents, taking walks, reading, listening and creating friendships based on genuine love and concern. That’s exactly how we planned it. With numerous caregivers, an RN on site, designated medication technicians and just ten residents per house, we’re able to give personalized attention and spend quality one-on-one time with our residents. We know your favorite meals and snacks and serve them when and where you choose. We recognize your needs and preferences and deliver customized care. That’s one more reason we’re unlike any other assisted living or memory care community. We integrate assisted living and memory care in all three of our secure homes. We have found that many people with mild to moderate dementia thrive in a community with residents of varying cognitive and physical needs. 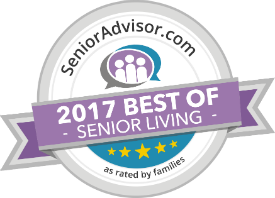 By offering a beautiful home-like environment with consistent and familiar caregivers, we are able to provide a warmer, more comfortable atmosphere than many of the large institutional “Alzheimer’s/Memory Care” facilities. Physical, emotional, spiritual, mental… “wellness” is a term that means many things to many people and at Via Elegante it’s just a regular part of everyday life. What does wellness mean to you? That’s the first question you’ll hear from Lindsay Lines, our resident Wellness Director. Lindsay creates a wide variety of outstanding, innovative activities for Via Elegante residents and visitors. For some, this means discovering the artist within or practicing yoga and Tai Chi. For others, it’s gardening, cooking, poetry or joining friends and neighbors to cheer for their team in the big game. At Via Elegante, wellness is as varied as our residents themselves. And like our residents, it’s engaging, inspiring and unique in every sense of the word.